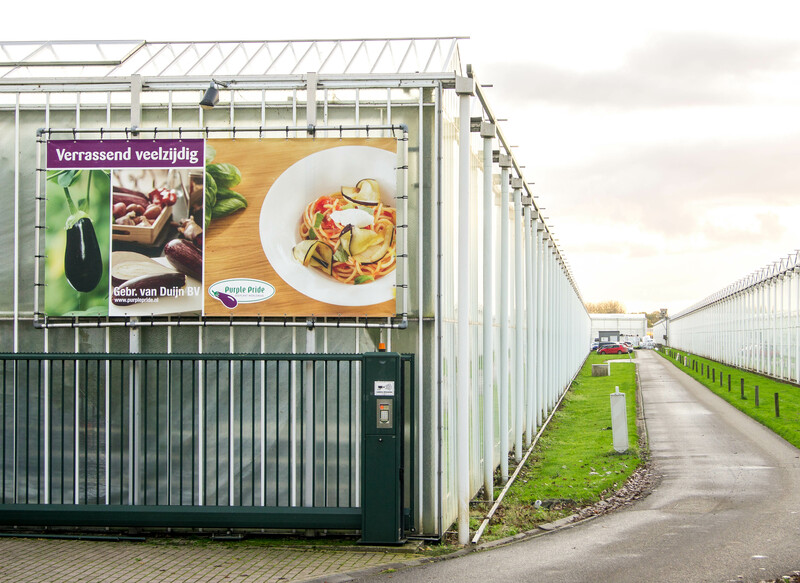 Gebroeders van Duijn is a greenhouse horticulture company and specialises in the cultivation of aubergines. The management of Gebroeders van Duijn consists of three brothers Pleun, Jan and Rob van Duijn. The company has its roots in De Lier, Westland borough, but 20 years ago we moved to South-West Netherlands. Our company has undergone many developments in recent years. In the field of scale, organisation, sales and automation we are constantly looking for improvement. In the coming years, this process of development will continue so that the company is healthy and modern and ready for the future. The aubergine is a product with potential. We believe that the aubergine market offers space for one more product and more product concepts. The active demand-oriented production gives us possibilities, distinctive character and energy in our entrepreneurship. We are certain that focus on the market, like the Gebroeders van Duijn, strengthens our continuity and our success. We are a company and a network partner. Knowledge and contacts are an important competitive factor. Strategic partnerships give us innovation, creativity and strength in the market. We believe in this. Entrepreneurship in 2019 appeals to the ability to make choices. A lot is possible. In our view, it remains important to weigh developments critically and make choices that suit our way of doing business. As owners of a family business, we also stand for the important task of guaranteeing the continuity of the company. This requires an eye for our own sustainability and developments in the organisation that can affect the perspective of our company. We cherish our business succession opportunities from our family and we actively follow new organisational forms that develop in this spirit of the times. Gebroeders van Duijn is a leading aubergine producer. We deliver quality products year after year with added value to growers’ association Purple Pride. This at any time and in every composition. Customer satisfaction is our main goal. We are able to do this through the dedication and quality of work of our employees. We want to offer them a healthy working environment in which we work together to reach our ambitions and in which employees feel responsible and can develop. Our scale ensures the right grip on cost price developments. This total means that we are a reliable partner for customers, employees and relations. The Steenbergen Branch was built up in two phases. The first construction was in 2003, when 4 hectares of glass and a packaging warehouse were built. The second phase was built in 2006, giving this location a total surface area of 8.4 hectares. 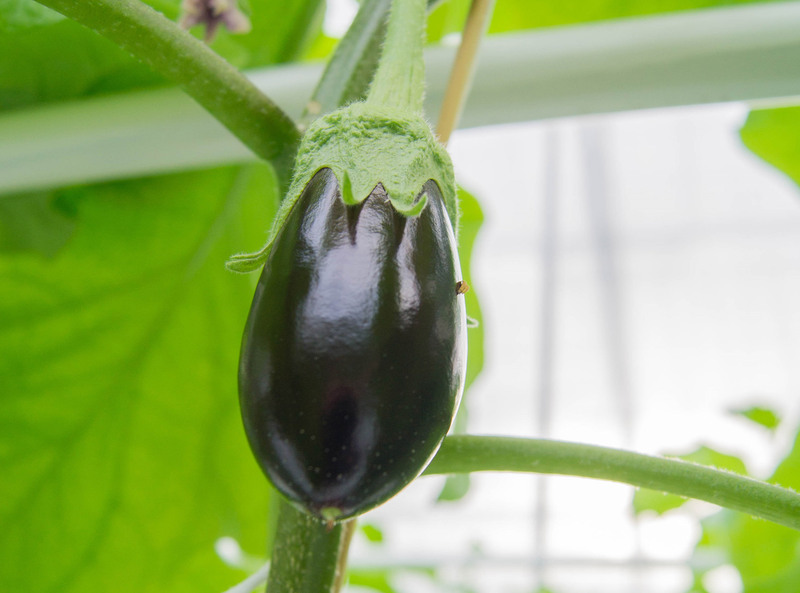 Since 2018, special aubergines are also grown in Steenbergen. Previously, for the entire Purple Pride group, they were grown in Oosterland. 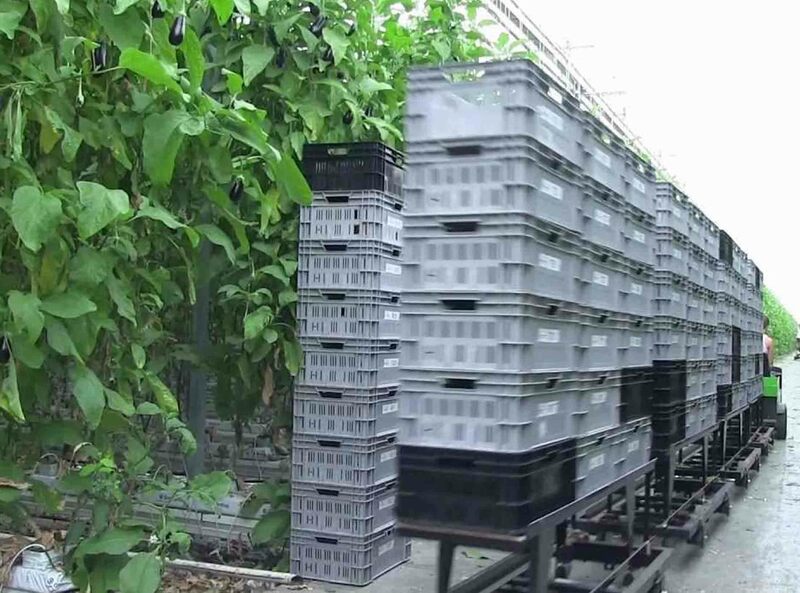 We grow 6 different types of special aubergines on 5,000m2. The Steenbergen Branch is led by Rob van Duijn. The Oosterland Branch was built in 3 phases. In 1998 the first phase of 2 hectares was built. The second 1.8-hectare phase was built in 2000. The third phase of another 2.8 hectares was built in 2017. The total area of Oosterland is therefore 6.6 hectares. 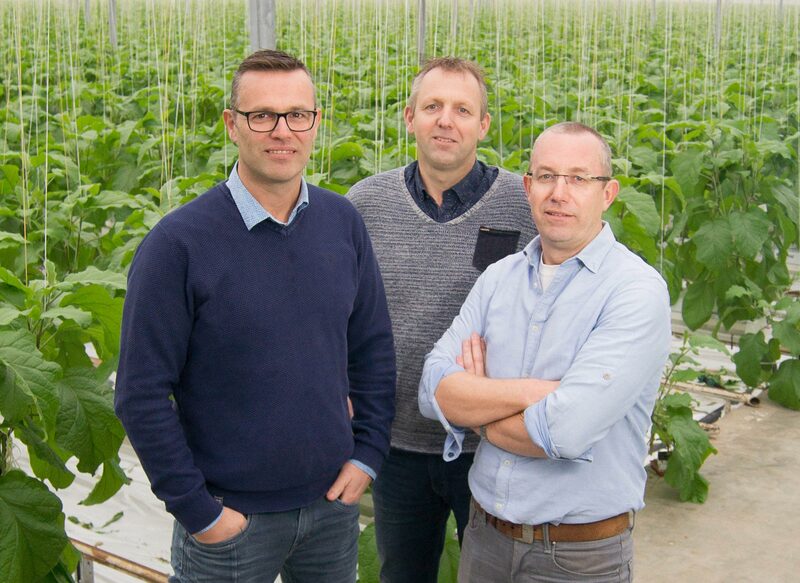 Gebroeders van Duijn has, together with several other greenhouse horticulture companies, a wood burning plant since 2018. This project is very unique in the region. Local wood is fired with the heat and CO2 that is released in the greenhouses. It has a very low impact on the environment and that is why we are very proud of our participation in this sustainable project! The Oosterland Branch is led by Pleun van Duijn. Our largest location is located in Westdorpe (Terneuzen Borough). This location has grown in 3 phases to an area of 10.2 hectares. The greenhouse horticulture area in Westdorpe is a unique project in which the local industry supplies residual heat and CO2 to greenhouse horticulture. Gebroeders van Duijn was one of the first companies to set up here in 2009. Each season the Gebroeders van Duijn are the first to be planted at this location and therefore always have the first aubergines. We have the eco-label and BRC certificates. The Terneuzen Branch is led by Jan van Duijn.